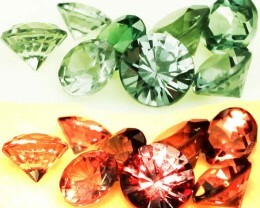 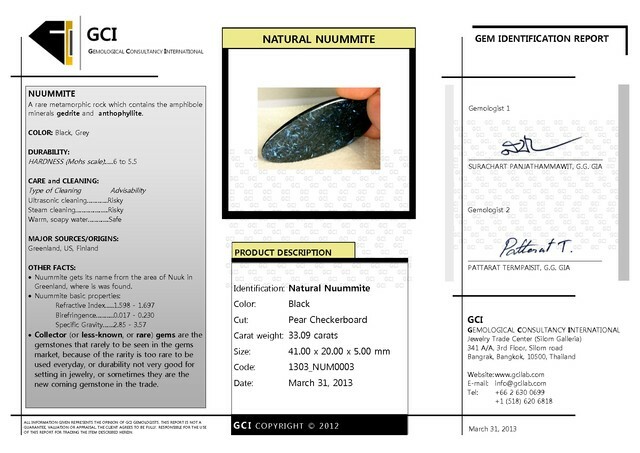 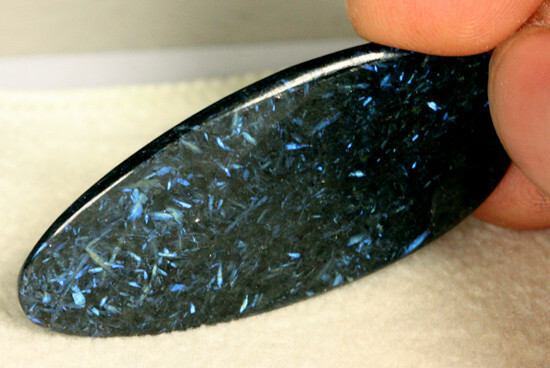 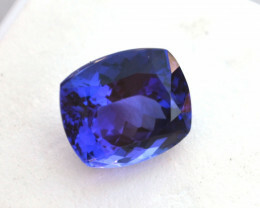 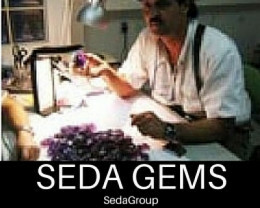 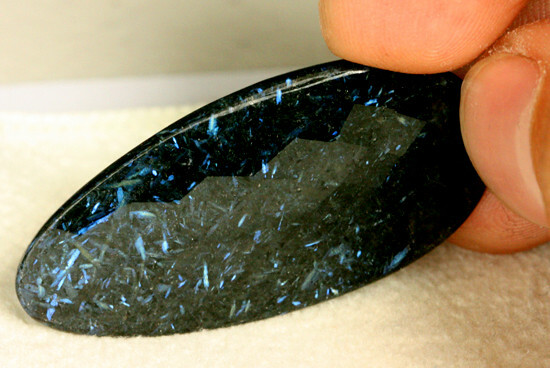 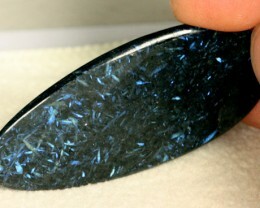 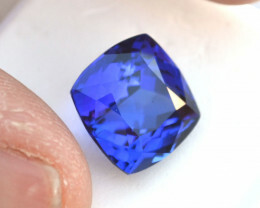 This is a rare mineral from Greenland that is relativly new to the gem world. 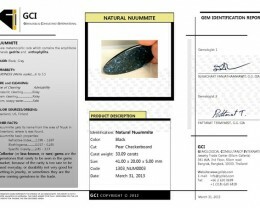 Known to be “The oldest mineral in existence”, Nuummite is a laminate, or sheet of compressed rock (presumably anthophyllite and gedrite) which is found in an area north of Nuuk, Southern Greenland. 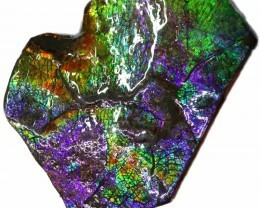 The area in which it is mined is accessible by boat only, in an iron-ore region which dates back over 4 billion years. 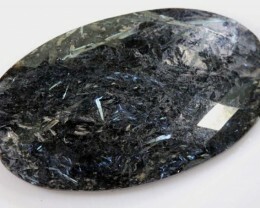 Nuummite is found in high, rugged, mountain terrain, making it very difficult to obtain. 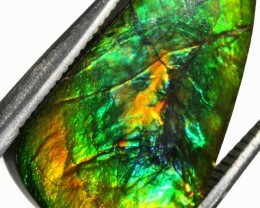 It is of volcanic origin and is believed to have formed about 3 billion years ago. 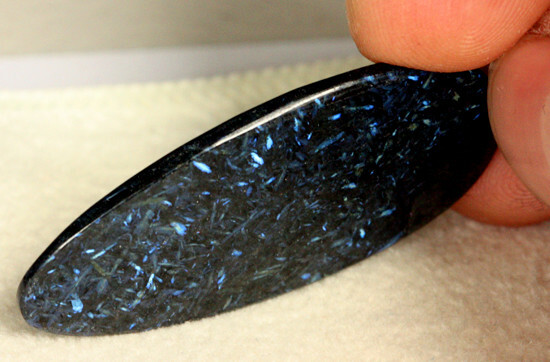 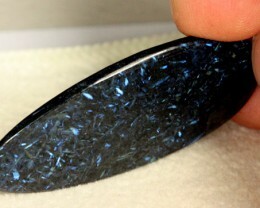 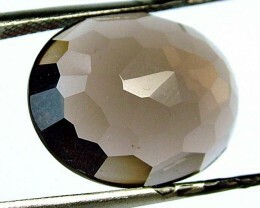 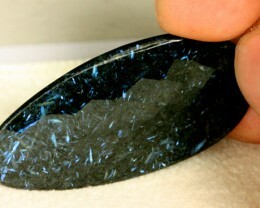 Subsequent influences on the rock (metamorphism) have given rise to the striking mixture of crystals which gives Nuummite its unique appearance.